Most people in the Northern Hemisphere are happy around the time of the Summer Solstice. The days are long and, if you’re not in the desert, the earth is green. Beauty, fruits and vegetables abound. “Fun in the sun” is an oft-used phrase. But how can we go deeper on this longest of days? The word “solstice” means “stand still”, referring to the fact that the sun appears to rise and set in the same place for a few days around June 20-21. 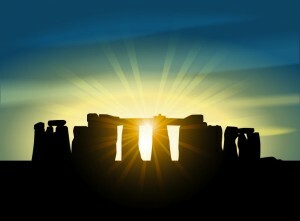 Ancient peoples around the globe have always conducted ceremony at the time of the Summer Solstice, honoring the sun and imploring it to stay and continue giving us long days and life-giving light. The Summer Solstice is also a time to honor the manifestation of our dreams and wishes – the days are at their longest, shedding light on those things we love. This is a good day to be grateful for what you have manifested thus far this year, and focus on what you still wish to come to you. The elders teach that fire represents the sun here on earth: trees spend their lives drinking in the sun, and when they lay down their lives to be used as firewood, it is said the fire represents the sun here on earth. As with the sun, fire brings us the gifts of warmth, light and the ability to cook our food. But fire can also burn us, our loved ones and our homes, so it should always be treated with great respect. Grandfather Wallace Black Elk taught that when tending a fire, one should occasionally offer it cedar as an honoring. Bear Heart taught me that three to four times each winter I should offer raw meat to the fire in my home; that by making these offerings the fire would be satisfied and not take anything else. 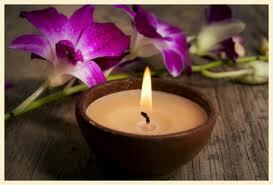 Today you might want to light a candle as a representation of fire, and say a prayer of gratitude for all that you have. After all, summer is the seasons of abundance. And when putting out a candle, be conscious of the fact that you’re handling fire, a representation of the sun, and a sacred gift from the Creator. Be respectful and grateful.